AT&T is the talk of the streaming world thanks to its recent announcement to launch a Warner Media streaming service. This service allegedly will launch in 2019 and feature Warner Bros., Turner, and HBO content. This recent decision by the communications giant that already has two streaming services has tongues wagging, especially among streaming pundits. In most cases, these folks are offering doom-and-gloom scenarios predictions regarding AT&T’s decision to invest in this third streaming service. According to a recent Wall Street Journal article, AT&T’s new streaming service is the company’s attempt to take on Netflix, Inc. and the planned Disney streaming service. If true, this would certainly make for an interesting streaming landscape. Acquiring Warner Media gives AT&T access to franchises that include Wonder Woman, Harry Potter, and LEGO. It also has a slew of classic films and TV programming. Whether it has the means to produce exciting original content similar to Netflix, Amazon, and Hulu remains to be seen. If this is AT&T’s plan, the idea is not without its critics. Some pundits have said this would be a risky move for AT&T. The streaming world is a densely packed and competitive one, and Netflix has a firm grasp on the lion’s share of the market. (An article in Forbes has its numbers at nearly 140 million viewers worldwide and nearly 60 million in the U.S.) Simply put, these critics don’t believe AT&T’s new streaming service will attract enough viewers for the venture to be cost effective. When I initially heard this news from AT&T, my immediate thought was that this would be a niche streaming service. That’s the term I use to describe streaming channels that offer specialized content, such as the Hallmark Channel. These streaming channels are typically treated as an add-on service to most people’s streaming package, and the going rate for these seems to be set at $10/month or less. Initially, I thought this was AT&T’s plan for its Warner Media streaming service. Here’s another possible wrinkle in the niche streaming plan: it just might not be realistic. If someone wants to see Iron Man, are they going to settle for Batman just because they have AT&T’s Warner channel and instead of the Disney streaming service? Probably not, since one is Marvel and the other is DC Comics, and never the twain shall meet in the hearts and minds of many fanboys and fangirls everywhere. To have it all, you’d have to spend a lot, which is covered above. Want to guess what I’m going to say next? Here’s a hint: this idea of a super streaming service has its perils and pitfalls. It’s mainly centered upon price. A streaming channel that has it all would be a premium service. As everyone knows, premium services demand a premium price. Just like the niche services model, this could beg the question: How much are you willing to pay to save money by cutting the cord on cable TV? … Maybe AT&T knows exactly what its doing with this move. Think about it. The company is a communications giant. You don’t get that big by making poor business decisions. My hunch is that AT&T has a solid business plan behind its decision to create a Warner Media streaming service. That’s probably why the corporation merely announced it plans with very little details… at least for now. There’s a good chance that we’ll all be surprised what AT&T plans to do with this new streaming service. … We think we know everything, all the time. (I clearly included myself in this assessment because I speculate about streaming on this blog each week.) 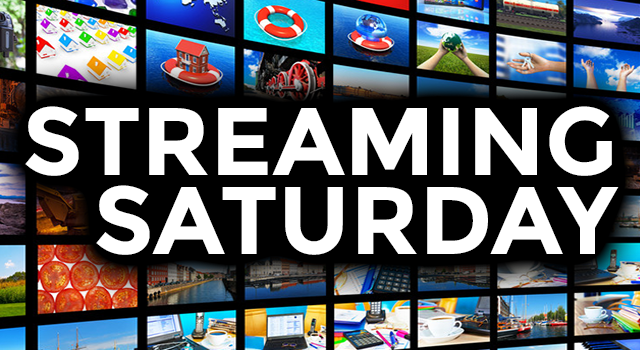 I compare speculating about streaming to watching a football game from the cheap seats. Sure, we can see the action, but we can’t hear the plays being called by the coaches. Without that vital component, we can only watch the action unfold. Any discussion after the fact is tantamount to being a Monday morning quarterback. As a streaming aficionado, I’m excited to see how AT&T’s game plan will all work out.